The Oily Hair – How to Treat? HomeBoldbarber hair adviceThe Oily Hair – How to Treat? 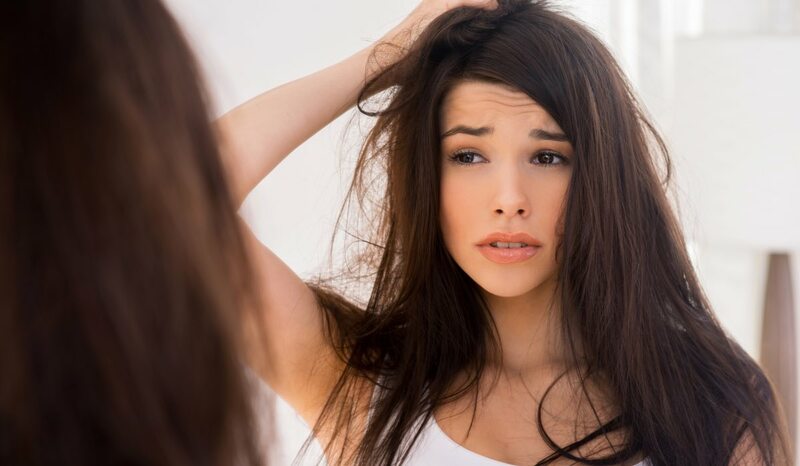 There is a widespread opinion that the reason of oily hair is oily scalp, but often it is completely opposite – also dry scalp may encourage an excessive production of fats, which moves from the scalp on the hair. So, in order to solve the problem of oily hair, we should take care of a dry scalp. See 10 tips, which will help you to treat your oily hair correctly. A shampoo that contains an oil of tea tree can make dry scalp gentler if it is the main reason of oiliness. Since healthy diet is useful for hair, you can also treat your dry scalp, eating balanced diet and drinking plenty of water. If you will use these tips practically, your hair condition should improve very quickly, but in order to feel the results in long term, you need to treat your hair correctly for several weeks.